Though the Milan Furniture Week is brief, this year’s fair left a remarkable impression on the minds of the furniture enthusiasts who flocked there in large numbers. Apart from the novel designs, innovative furniture, installations and accessories, the colour and material trends played an enormous role in the fair. Last year, blue and orange were the trend colours, but orange played a greater role. Besides, deep yellow, lemon and mustard were highlighted in accents, accessories and upholstery. This year, the furniture colour trends displayed a fusion of colours including marsala, blue, yellow ranging from golden yellow to deep yellow, dark orange, dark pink, purple, lemon green and chartreuse. The colour that clearly played a significant role at the fair was blue, when it comes to furniture and décor. The overwhelming colour set,spread from royal blue to light blue-grey to sapphire blue. Fabrics, plastics, walls, lamps, doors, chair – the colour was everywhere. Apart from furniture, blue is evident in fashion too, setting a trend in the fashion industry. The colour yellow remains strong in home and workspaces, along with pink and orange creating a great combination. Mustard yellow and lemon yellow play a smart, vibrant and glowing manifestation being used increasingly to add flavour and give a contrast look to the room. The purple hues ranging from orchid to plum purple could be sighted in living spaces as well as in workspaces. Marsala that appears as a red wine tone has strictly left a mark in the furniture spaces. It also makes its presence felt in accents and other accessories. Other colours that took centre stage in accents include deep yellow to dark orange, also reds, and magentas, pink and purple. Orange is also explored in the new design furniture from NicolettiHome. There’s Louis Vuitton that presented a range of unique pieces at the Milan Fair, which were themed on travelling and exhibited in orange making it a celebration of the colour. Bright pink is again largely used in furniture and accessories like lamps. While lemon green and chartreuse are also around, they are largely being expressed through the usage of foliage in interiors and exteriors. When it comes to material trends, one of the major highlights was the emergence of smoked Eucalyptus as the newly-favoured wood finish. Toned steel, marble, metal, wood and glass are the combinations that enjoy contemporary design expression on tabletops and in accessories. Wool and felt are used in upholstery and innovative coverings opening a door for new design possibilities. Wood plays a superior role in outdoor furniture when it comes to fireplaces. There’s the resilient ceramic on tabletops as well as in ceramic vases, and metals used in tables with a range of table tops like marble, wood and glass. Additionally, plastics remain dominant for chairs, while coloured glass is in style again. Spanning from classic ebony and oak, wood still remains the most loved and accepted material even till this day as it gives way for plenty of innovation at low cost. On an ending note, the colours appeared bold, strong and bright this year and the materials were confined to new innovation providing space for creativity with the flavour of contemporary design. The success of any event is measured by the scale of the turn-out and the overall presentation. Well, this year’s Milan Furniture Fair was received by a large audience of 310,840 of which 69 percent were foreigners. With pavilions across 200,000 sqmts, the fair displayed a plethora of designs, colours, innovations, materials, stunning installations, functional accessories and more, from over 2,000 brands. 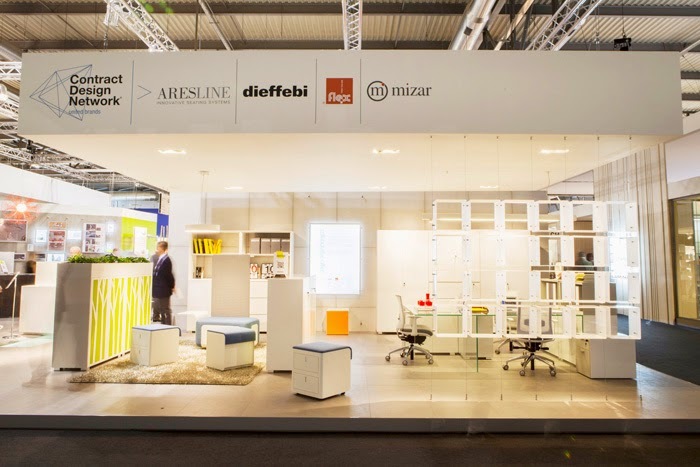 Apart from the highlights of the first four days in our previous blogs, the last two days also exemplified different components of colour trends, store designs, unique architectural booths, outdoor furniture, and uncommon lighting designs. The Hall of Classical Furniture stood out because of its distinctive and opulent architecture that could mesmerise one. Speaking of architecture, the booths in the space design were visually stimulating, making their presence as important as the furniture itself. The cutting-edge transformation in outdoor furniture was evident at the Brera area at Milan, which had a ready-to-use country-style fireplace, a metal table with travertine marble and a rock water body, that were extraordinary in their appearance. The cocoon in white with a lid-like cover on the top was a unique piece of outdoor furniture at Milan this year. Additionally, an exquisite new design was a chair that had a seat like that of a basketball net, but would act like a chair when one sits on it. This chair blends well on a lawn or a backyard space meant for recreation. Another piece of furniture that compliments your outdoor dining space would be an iron table with plants flowing through an open metal grid. A distinguished piece was the chair with surround music. Today, workspaces need private spaces to help focus, think and revive the mind, and this chair intertwines this through its design and concept. This piece of furniture called Beatnik Sound Station Chair is clearly a replica of the concept musical chair, giving a surround speaker like experience. Other eye-catching ideas include the world’s first 3D-printed racing bicycle, abstract design lamps by Pistacchi design, and a rocking chair with a balance of beauty and comfort. French fashion house Louis Vuitton presented a range of unique pieces at Milan Design Week 2015, under its Objet Nomades exhibition. New furniture items were designed for travellers by nine different designers, creating unique foldable furniture and travel accessories which boast a mixture of leather, braiding, strapping and puncturing techniques that made each piece elegant. A hammock, a flower-like chair, bell lamps and stools were some of their outstanding work. The ‘Continuum’, a luminous artwork crafted by Japanese design collective Kappes, creates sequence between objects and light. A small set of wires in different shapes and sizes, are made to whirl, creating a continuous motion-like dancing effect. Another uncommon lighting design was an LED table lamp with its support appearing in the shape of a speech bubble. A lamp made entirely of feathers was something intriguing at this year’s lighting exhibition. 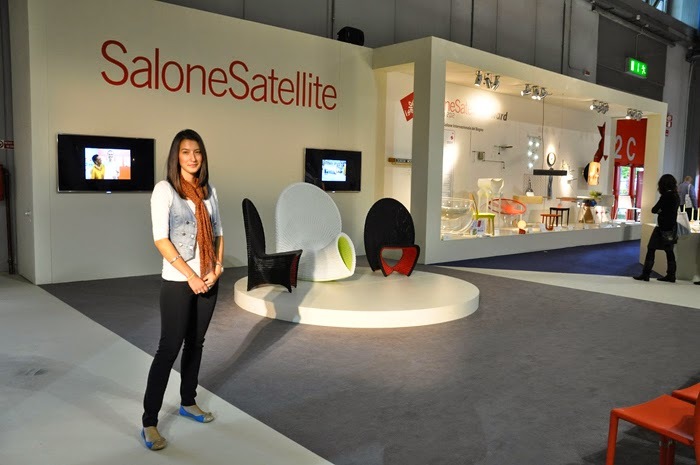 Salone Satellite made its presence commendable with the theme being ‘Planet Life’ for this year’s Expo. The Five Elements Installation conceived by Sean Chen at Salone Satellite, is an abstraction of the traditional garden. It combined the meaning of earth, water, wind, fire and sky in an experiential space for guests.There were exciting and innovative pieces showcased by young designers, among which AvinashShende, an IIT professor from India was short-listed for his creations at Salone Satellite. His two lamps and a clothes hanger appearing like a bow light were designed under the theme, “Interplay of Tensions”, which was picked as a finalist for the awards. The most awaited trend at Milan Design Week were the colour trends for interiors and furniture in the upcoming year. In workspaces, the colours that made their presence felt were oranges and yellow, with blue playing a big part as well. Apart from that, there was bright pink that stood out too. Emerging Colour Trends at Milan 2015- Orange, Yellow, Bright Pink and Royal Blue. Something that was unmissable was the entertainment that included watching the timeless ballet Gisele at the Teatro alla Scala, one of the oldest opera houses in Europe. The history of this opera house dates back to the 1770's when it was first opened and since then has seen all the great composers, artistes and conductors across the centuries, performing at their best. With a glimpse of the first impressions, we are back bringing you more designs and trends that caught our attention on the third and fourth day of the fair. As discussed in our previous blog snippet on Euroluce and Workspace 3.0, the exhibits below stole the show with their extraordinary designs. That UNESCO’s “Year of Light” designation for 2015 is an apt one, is evident from the fact that the pavilions in Euroluce were flooded with arrays of unmissable lighting. The most important trend in the lighting section appeared to be how to tell a story. This denotes that contemporary designers have transformed into storytellers. LED light sources took centre stage compared to the traditional light sources. When it comes to lamps, chandeliers, and bulbs, various kinds of designs and shapes exhibited form beyond function. No amount of adjectives suffice to describe the most attractive light system that filled us with awe: none other than the mood lighting system, which is interactive and changes its mood with your hand movements. It’s simply amazing and here’s the YouTube link for you to get a glimpse of it. Another noteworthy episode at Milan was the workplace exhibit with Michele De Lucchi's "The Walk", marking the central installation at Milano2015. Located in Pavillions 22-24, one can see the vision of the office of the future. The Walk was divided into four thematic areas that include Club, Free Men, Agora and Laboratory. This philosophical project re-imagines offices and covers all aspects of work environment from productivity, relationships along with new possibilities, imagination and knowledge. Starting from a staircase, the work level is extensively projected with the use of four quadrants. ‘Club’ denotes areas of social exchange intended for exchange of thoughts and socializing. ‘Free Men’ signifies a place of intimacy proposed for individual and group work. ‘Agora’ represents a space for collaboration and community gathering that leads to self-expression. ‘Laboratory’ stands for a place of design where learning takes places alongside of creativity and communication. Another striking installation at the fair was the snake seat that stretched more than 2 feet, suitable for people of different heights. Also, a design worth mentioning was the great space design which is mirrored from outside and broken into patterns, hiding the inside that lit a room full of lights. The Maria Teresa Chandelier is not to be missed. Though created in 1726, it is such an opulent and elegant piece, that the decorative lighting maker Preciosa created a line of modern day successors, from a classical reinterpretation to a contemporary version. A peek into how a young designer at the Milan Furniture Fair exploited need and function to create wonderful and fresh pieces of furniture exhibited remarkable talent in the young. Additionally, one of the material trends for this year’s Milan is apparently smoked eucalyptus taking over a new wood finish. But a hasty judgment may not be precise. Time will tell at the end of the fair. Also, diesel Living took coordinated interiors to a new level of detail. The flooring, each wooden piece is toned dark in a gradient, adding to the illusion of depth in a small space. On a different note, one of the colour trends of the season is blue. This colour ranges from light blue-grey to a dark royal blue. Fabrics, plastics, walls, doors - the colour is everywhere, making it an emerging trend at Milan 2015. Welcome to the world’s largest destination for the latest and finest design and furniture trends- Milan Furniture Week 2015! First impressions usually make a lasting one, so we pulled all trend setting designs or models together to give you a better picture of the highlights and events that took place during the last two days. Past dawn as the doors flinged open, the most awaited furniture and design fair was unwrapped for designers, architects, furniture retailers, interior decor professionals, and driven enthusiasts to explore and experience the novel trends in furniture and design. Italian Prime Minister Matteo Renzi made his way as an early visitor and spoke about the event at the inauguration. Euroluce held its opening ceremony celebrating its 28th edition and the International Year of Light proclaimed by UNESCO. The installation “Favilla -To every light a voice”, by architect Attilio Stocchi explored the essence of light making it a centre of attraction. When art and culture take centre stage alongside furniture and interiors, one can see that it reflects on the streets of Milan which makes the city come alive during the Milan week. Accordingly, the biggest exhibition on Leonardo Da Vinci at Palazzo Reale by Pietro C. Marani and Maria Teresa Fiorio was declared open showcasing the extensive work by the genius. Besides, Workplace3.0 with a new concept for work spaces called, “The Walk”, organized a talk on ‘Environmental quality in the workplace’ with multiple speakers to share their insights on the subject. SaloniSatellite presented design talks on ‘Nesting Nature’ based on the theme for the year ‘Planet Life’. Another intriguing part was the launch of the new app which gives a comprehensive list of exhibitors and their catalogues, location of the stands, floor plan of the Fairgrounds, schedule of events and all the information facilitating to the fair visit. Nicoletti Home launched its new design sofa stealing your living room with a fancy orange shade that blends design with comfort. Additionally, the colour trends seep in with the two accessories making one element through an expression brought to life by light. The blue glass top and champagne gold support that displays an umbrella -like lamp, added to the emerging colours at this year's Milan. A few other booths and stores also made a noteworthy presence because of their unusual and eye catching designs. A good example was the chair seats wall that made design larger than life. Calligaris takes a centre stage in innovative designs with dining tables that showcase a trend of space saving retractable mechanisms, which are easily movable, giving a slimmer, smarter look. When it comes to style in the living and dining room, ALF, known for its innovative design for contemporary lifestyle, displayed a bar cabinet that augmented a trend. The cabinet featured a beautiful veneer on the outside and a bold monotone on the inside, making it a great piece of furniture to add to any contemporary living space. Material trends are a vital part of the fair, with toned steel, marble and glass making trends, allowing for more design innovation possibilities. The ceramic vases and the soft art deco carpet made their presence felt as well. The only place you will spot an array of novel designs and the very latest in furniture is at this year’s Salone del Mobile, which is just around the corner. After 54 years of its existence, from promoting Italian furniture and accessories on the export market, to becoming the world's largest international furniture trade fair, the Milan Design Week and Furniture Fair has made an impeccable imprint on the furniture industry. Attracting global participation, the Fair has over 2,000 exhibitors, more than 200,000 sq mt of exhibition space and draws over 300,000 visitors every year from more than 160 countries. In addition to the Salone del Mobile, which is split into Classic, Modern and Design, there’s the International Furnishing Accessories Exhibition and the SaloneSatellite, which will be flanked by the biennial International Lighting Exhibition (Euroluce) and Workplace3.0 (SaloneUfficio). Euroluce will celebrate its 28th edition and the 2015 International Year of Light proclaimed by UNESCO, with ‘Favilla- To every light a voice’. It’s an installation by architect Attilio Stocchi, that explores the essence of light and will be located in the centre of Milan. Being the benchmark for the lighting sector, Euroluce is dedicate to innovative lighting solutions and showcases the latest in outdoor, indoor, industrial, special use and hospital lighting solutions, LED lighting systems, light sources and illumination technology software and consulting. Workplace3.0 is an exhibition with a new concept dedicated to workspaces, woven with design and technology. The exhibition will be hosted in Pavilions 22-24, gathering top proposals from the furniture world for office. The major highlight will be ‘The Walk’ by an internationally renowned Italian architect Michele De Lucchi, which is a huge installation within the Workplace 3.0 that showcases ideas and designs for planning diverse platforms of workspace. Additionally, ‘IN ITALY’, a special multimedia presentation by Four in the Morning designed by architect Dario Curatolo will make its début screening Italian lifestyle which includes the uniqueness of Italian living through furnishings, objects and designed spaces. This film will become an interactive App intending to explore five apartments in Lecce, Milan, Rome, Venice and the Sienese hillside which are set in five completely different styles. Besides, the App will explore the histories and products of 64 Italian companies. 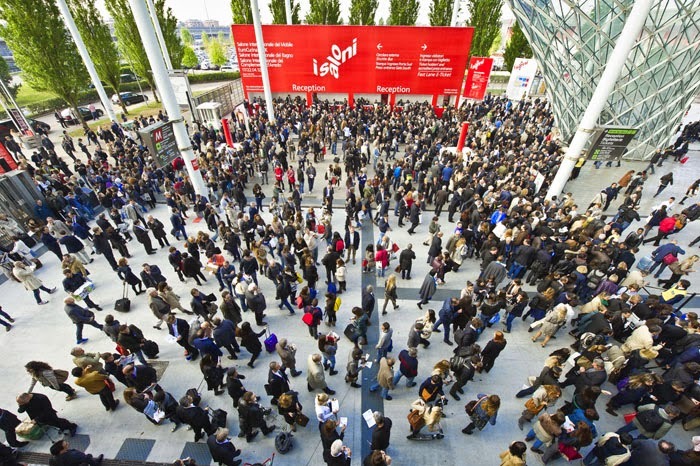 SaloneSatellite, one of the most inviting events at the Salone del Mobile, will celebrate its 18th edition with the theme ‘Planet Life’ that will be the focus at the Expo 2015. This year is a major milestone for SaloneSatellite as it reaches adulthood with over 10,000 young designers in the last 18 years, many of whom now enjoy international acclaim. The Expo will be located in Pavilions 22 and 24, the same as Workplace3.0 – with free admission to the general public with access from Cargo 5. The meeting point will be addressed by 700 young designers under the age 35 from all over the world to showcase their work and stand a chance to win the 6th SaloneSatellite Award which honours the three best prototypes in each of the product categories. 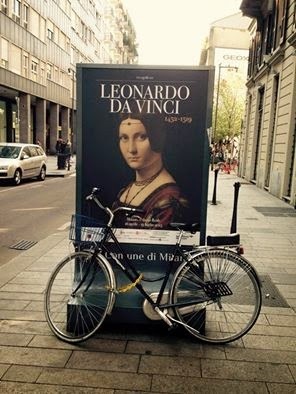 Likewise, to celebrate the 500th death anniversary of Leonardo Da Vinci, Salone del Mobile has erected a exhibition “LEONARDO 1452- 1519” which will be launched on April 15th at Milan’s Palazzo Reale. The exhibition will present a host of Leonardo’s greatest works which is most likely to be the largest such show ever staged in Italy on the Renaissance genius. Sponsored by the Milan City Council, the exhibition is conceived and produced through the partnership of Palazzo Reale and Skira. Brace yourself for the 54th edition of the Milan Furniture Week aka iSaloni 2015 which will embark this April 14-19th. Like every year, this year’s fair is speculated to be even more exuberant and commodious accommodating around 3 lakhs visitors to witness the furniture wonders of the world from around 160 countries. Milan, like no other fair in the world defines and shapes the future of how you live. The fair unveils new materials, trends, colours, engineering, manufacturing and innovation - presenting you a host of creativity and craftsmanship that’s behind the work. In this day it is not only the world's largest conglomeration of designers, architects, interior decor professionals, and renowned furniture brands but also a benchmark for the furniture industry. Furniture being an integral part of our industry, we are delighted to share the happenings at Milan - 'LIVE', and keep you abreast to catch up with the new design & trends as it unveils. Last year Milan Furniture week unveiled thousands of furniture models, new designs and accessories that caught attention of enormous crowd. One of the biggest launches last year was the Revive recliner chair by Natuzzi. Other striking features of the fair included Calligaris' extensible table, Alf’s new concepts for bedroom and dining, Tonin Casa's Arpa bookcase, and 'MOMENTum' a Japanese table. Besides, there were two entries from India at last year's Satellite event that showcased innovation from young designers. In addition, the noteworthy part of the fair was the Milan colour trends that made charm - blue, orange, yellow and green, pastel shades and metallic shades hogged limelight. An extremely successful event that was first brought 'live' by us in India. Milan 2015: What to Expect?